Mr Trump repeated a list of grievances about US trade. US President Donald Trump has refused to endorse the Group of Seven leaders' summit statement in retaliation to what he has called "false statements" from the Canadian Prime Minister, despite the communique having already been released to the public. After departing from the Quebec summit for Singapore, Mr Trump tweeted that he had asked American representatives not to endorse the joint communique put out by the G7 leaders, which called for a "free, fair, and mutually beneficial trade" and the importance of fighting protectionism. 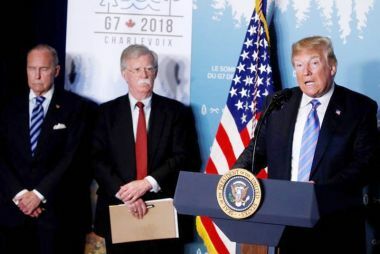 Mr Trump made the comments after the communique had already been officially released in response to a press conference held by Justin Trudeau to mark the close of the summit. "Based on Justin's false statements at his news conference, and the fact that Canada is charging massive Tariffs to our US farmers, workers and companies, I have instructed our US reps not to endorse the Communique as we look at tariffs on automobiles flooding the US Market!" Mr Trump tweeted. "PM Justin Trudeau of Canada acted so meek and mild during our G7 meetings only to give a news conference after I left saying that, 'US Tariffs were kind of insulting' and he 'will not be pushed around.' Very dishonest and weak. Our tariffs are in response to his of 270 per cent on dairy!" In a statement issued following Mr Trump's tweets, Mr Trudeau said he remained focus on what was accomplished at the G7 summit. A later statement, released by a member Mr Trudeau's communications team on Twitter, said there was nothing new in the Prime Minister's press conference. "We are focused on everything we accomplished here at the G7 summit," the statement, released by Cameron Ahmad, said. "The Prime Minister said nothing he hasn't said before — both in public, and in private conversation with the President." Mr Trump has long said the North American Free Trade Agreement has been a "disaster" for the US and has insisted that it be renegotiated. At the press conference Mr Trudeau insisted the US, Canada, Britain, France, Germany, Italy and Japan had figured out "consensus language" they could all agree to in the joint communique issued at the end of the G7 summit, despite the tensions with the US. "We strive to reduce tariff barriers, non-tariff barriers and subsidies," the leaders' statement read. Mr Trump recently slapped tariffs on Canada, Mexico and the European Union, angering his counterparts before he arrived at the summit. 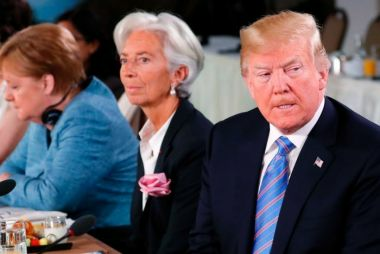 He told the G7 leaders during the summit that the US wanted a quick end to trade practices that he said have led to an exodus of American companies and jobs to other countries. 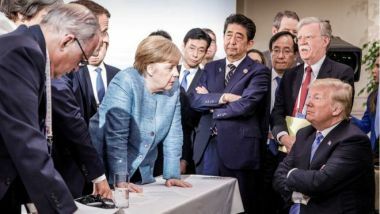 Mr Trump had earlier denied that the summit had been contentious, contradicting what one G7 official described as a bitter harangue between the US President and his counterparts over tariffs. The US leader left the summit earlier than planned on Saturday to fly to Singapore to meet with North Korean leader Kim Jong-un, which he described as a "mission of peace".